Having a website is crucial to your IFA business, whether you are a sole trader or you run a company with a team of IFAs. Clients and prospective clients expect to see your details online and read all about your services, charges and business history. Your website is nearly always the first point of contact, the place that potential clients go to check you out and decide whether to engage your services so your site must be smart and professional, with no grammatical errors and broken links. It should be clearly laid out and reflect your business ethos and abilities. When people are thinking of trusting you to advise them on what to do with their money, they are at their most eagle-eyed and wary. If your site is clearly laid out, gives a friendly feel and engenders confidence that you are professional and capable, you are halfway to closing on a new client. There are a number of factors to take into account when planning your site and if you bear them in mind, you should have no problem creating a website which you will find of great benefit to your business. Most people do not have the ability to build their own web presence from scratch but there are plenty of designers and design firms that can help you. A good designer may charge you thousands of pounds, so shop around and you will find some design businesses which can offer the same or even better results at a fraction of the cost. Here are our top tips for creating a great looking website and marketing it after it has been built. 1: Your home page is vital, so do not clutter it with too many words and links. 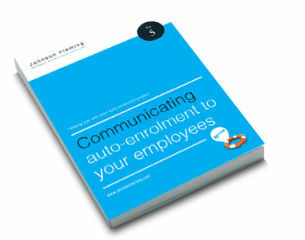 Get across the main areas of your business clearly and simply. If your expertise is in Sipps or investment advice, for example, make sure that is to the fore. 2: Do not annoy users – do not take them round the houses. People cannot stand clicking on a link that says “mortgage advice”, only to be taken to page after page which asks them to make too many choices about what sort of mortgage advice they are after. 3: Getting leads – think carefully about what you want people to do after they arrive at your site. Is your priority getting them to send you their details? Or call you? Would you prefer them to decide clearly what area of your business and services they are interested in first? 4: Contact – getting visitors to your site to contact you is no doubt going to be a priority. Make sure you have a very clearly marked contacts area and that your phone and email details are very obviously laid out on that page. 5: Imagery – bold, strong images can be useful but make sure they are friendly and welcoming. If you are going to use pictures of yourself or your staff, get a third-party perspective – you might not view yourself as others do. Make sure the images are of a low file size because if they are too big it can make the pages load slowly. 6: Navigation – whether you opt for a navigation that sits along the top of your site, or down the side, make sure the labels you use are clear and obvious. Perhaps get someone with little understanding of the IFA world to discuss the language and wording to make sure it is very clear to Joe Public what it means. 7: Recommendations and testimonials – it may seem like a simple idea, but getting existing clients who are satisfied with the work you have done for them to write a brief recommendation and posting it in an area of your site can be a powerful trust creation technique. For existing clients, getting to your site will not be much of a problem. But what about those potential clients who have not heard of you and are simply searching for an IFA they feel they can trust? 1: SEO – think about what people would type into a search engine to find your business. Make a list of the words and phrases and map each phrase to a particular page on your site using the meta data and keyword input fields in the publishing system you are using. After you have your onsite factors sorted, look at offsite factors. Getting links is the biggest thing you can do to get your website appearing higher up the search engine results’ pages. 2: Consider pay per click – this can be a very effective way of getting business. You essentially pay Google or another search engine for positioning for certain keywords and phrases as an advert and anyone that clicks on it you pay a fee for. If you know that users once on your site are contacting you and you are converting that into business, then this can be very cost-effective. 3: Email marketing – you can buy email addresses of varying quality from a range of sources and approach clients directly, providing direct contact details as well as a link to your site. You can also use forms on your website to collect email addresses and start building a list.